Sanus Per Aquam (SPA), meaning "health through water" - is a beauty, relaxation treatments, which are supporting health and beauty - act on the senses and bring incredible effects for your body. With Macrovita you are able to prepare a home spa and regain vitality. After treatment, you will see how much charm will gain your skin and how much will improve your well-being. SPA treatment start with sensual cleaning. Dampening the whole body is best to start with a warm shower, during which the pores of the skin dilate, which will facilitate the penetration of moisturizers. Apply the peeling gel body of Macrovita with water lily and pearl extract, which removes dead skin cells, cleans and moisturizes. Apply scrub on face and body and gently massage the skin for a few minutes. Follow massage with cyclical movements. Dampen the body with water and continue massage. Peeling is also suitable for sensitive skin of the face, because is particulate and bring noticeable results. 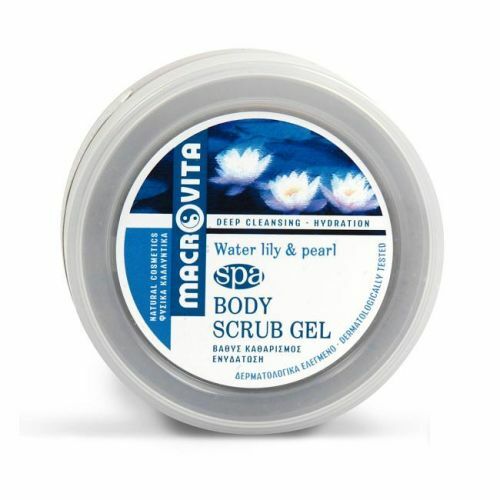 Scrub contains water lily, which for hundreds of years is used as an effective remedy for relax, and lower tension. skin, on which was used preparations involving water lily seems to be more stretched, toned and smooth. Users of cosmetics, in which the composition of the water lily have appeared maintain, that they bring refreshment, relaxation and improved well-being. Product contains also algae, which slims and extract of pearls, which according to the principles of Chinese medicine prevents the outflow of water from the skin, perfectly stimulates its proper hydration and allows to save proper level of collagen, which protects the skin from aging. Extract of pearls also improves blood circulation in the skin, so you will become excellent condition and vitality. Extract of pearls fights free radicals responsible for the degradation of the antioxidant system of the skin, which causes disorders and rapid appearing of signs of aging. Peeling Macrovita contain guarana which improve the blood circulation and favourably affected the firmness of the skin. 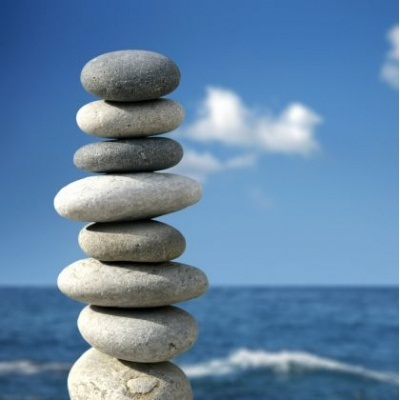 In addition, you will experience the components tapering blood vessels, acting astringent and revitalizing. The preparation has also seaweeds reducing excess of body fat, jojoba oil emolliating and moisturizing the skin and sea salt as a source of micronutrients to ensure an extremely deep skin nourishment and proper structure. Importantly, in the treatment in spa, sea salt also has a purifying effect - effectively helps to remove toxins from the deep parts of the skin, exhibits anti-acne properties, reduces wrinkles and has firming effect on the skin. After the treatment with Macrovita peeling use shower gel that gently cleans, moisturizes and bestows a unique spa relaxation and a wealth of minerals. Contains precious pearl extract, which, according to Chinese tradition, renews the skin. The content of bio-ivy brings positive results. Thanks to that the gel has antiseptic effect and effectively combats harmful microorganisms on our skin. Absolutely neutral pH makes, even the sensitive parts of the body will be nourished. Peeling the skin, we remove dead epidermis of the skin and preparing for better absorption of the substances contained in cosmetics. The second step in our home SPA is an effective moisturizing. 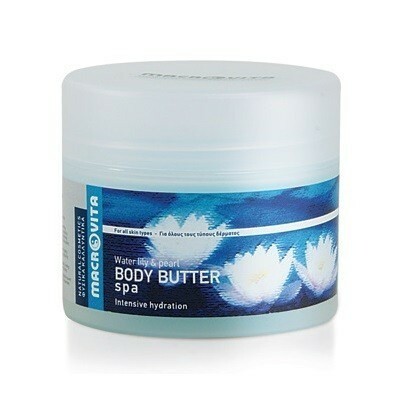 For this purpose, use a specially prepared body cream - MACROVITA BODY BUTTER SPA with water lily and pearl extract, which is the next cosmetic in the series of Macrovita SPA. After such treatment you will feel much better. It should not take longer than 20-30 minutes, and its beneficial effects stay for long. Also your body and skin will benefit from the treatment - you will feel like it is smooth and elastic. Repeat this procedure at least once a week to preserve its effect and experience the positive energy. Finally, half an hour a week is a time that you should be able to save only for yourself. Cosmetics Macrovita will be an ally of this weekly spa and relaxation. To help you decide, we offer a special discount for toiletries Series Macrovita SPA. In the set you will find all the necessary cosmetics to carry home SPA - shower gel, scrub with water lily and body butter with extracts of pearls.